This semester, I'm studying a new course, "Prototyping Physical Interactions", that's aimed at strengthening students' problem solving skills using the new class of IoT devices that exist around us. The first assignment is pretty simple - demonstrate the use of a physical sensor to provide input for a system, and produce some sort of output. 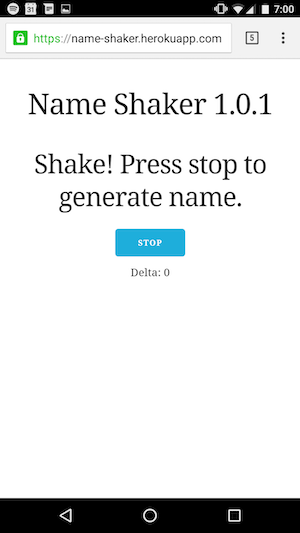 My assignment submission is name-shaker, a little web application that can be run on any mobile device that has an accelerometer and supports the ondevicemotion Web API (so far that's iOS and Android). You can also see a live copy of it hosted on Heroku. Now, onto how I did it! I pretty much cloned srn/react-webpack-boilerplate so I wouldn't have to do much React configuration upfront, and since my needs were fairly modest I didn't touch the Webpack confs at all. 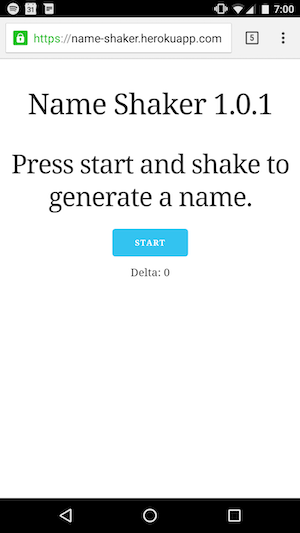 I also use a modified version of alexgibson/shake.js that abstracts away the trivialities of . 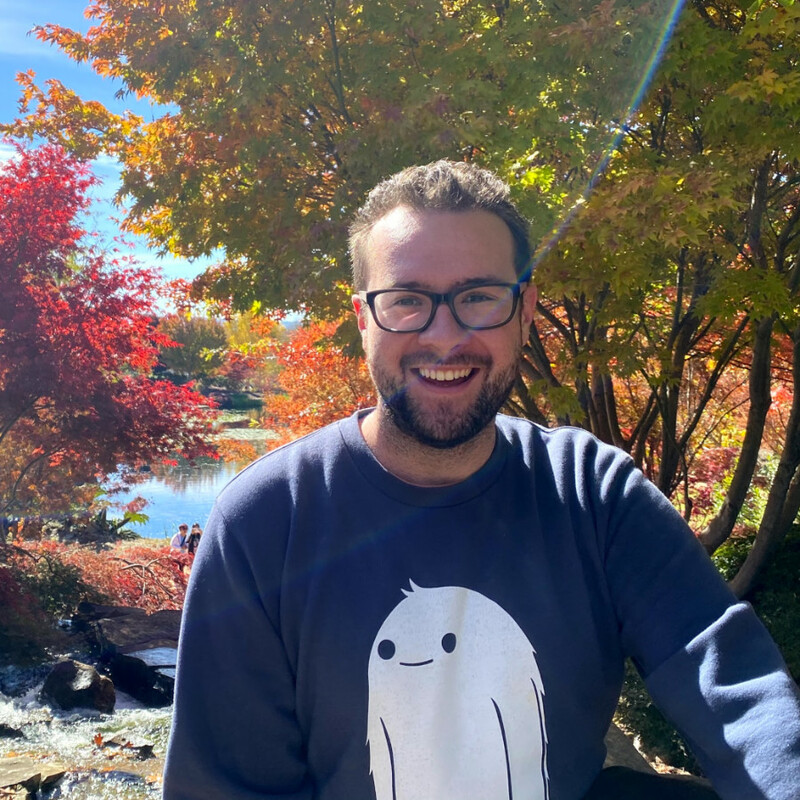 I say modified because I hacked away at and rewrote so it could work with callbacks - the browser event driven interface isn't particularly good for React in my opinion. My current method of measuring the amount of movement in the device is pretty rudimentary - I just keep an ongoing sum of movement along the x, y, and z (alpha, beta and gamma under the Web API spec) planes, and shake.js filters out movements that don't fit within the threshold of a serious shake. This calculation works pretty well when testing it out with people, so I haven't changed it so far. As to the generation of names, I've bucketed them into four tags: "very common", "common", "unusual" and "rare". Since name distribution is actually kind of hard, they're mostly arbitrary buckets. I used the US Social Security dataset for births in 2011, which includes the names of babies born in the year of 2011, for which there were 5 babies of the same name. Alongside name, they also store gender and count of names, so we can sort them and bucket them evenly into the four categories. I could probably use a less arbitrary bucketing method, but it didn't seem worth the effort and the results so far are not too bad (except for Jane being included in the "Unusual" bucket...2011 was a weird year). The whole thing is ready to chuck on a Heroku box (or any box that can run a LAMP-equivalent stack actually, the code can be deployed with npm dist). Next steps are to make it more obvious when you shake into a new category, since it's kinda hard to see the screen when you're shaking it to buggery - I'm thinking haptic feedback.